There is an old tale that Moraira was named after the heathen princess "Ira, la Mora" - hence "Mora Ira". 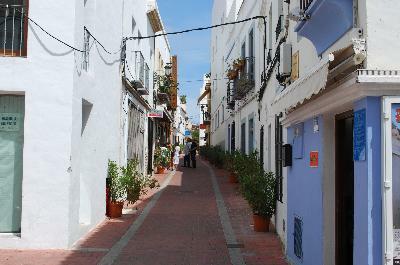 Before the huge influx of foreigners into the Moraira region, Moraira was a very small, unspoilt fishing village. 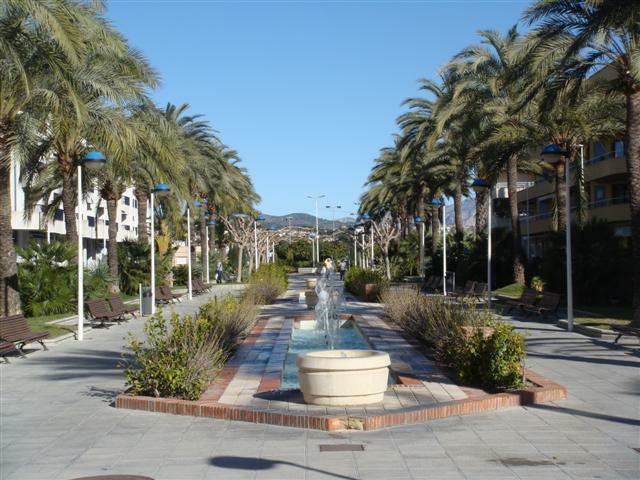 Nowadays, although it has been developed to satisfy the needs of the people wishing to make the Moraira area their home or just to holiday there, Moraira has become an upmarket resort with none of the high rise hotel and apartment blocks associated with a lot of Spanish coastal resorts. 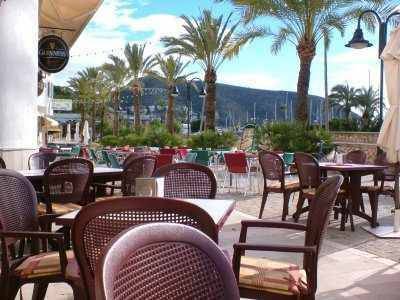 There are many good restaurants in Moraira which to spend a relaxing evening. The local Moraira market is held on a Friday morning, where there is excellent fresh produce on sale together with many non food items which should appeal to locals and tourists alike. This area boasts 'the best all year round climate in Europe' according to the World Health Organisation. So with 320 days of sunshine a year you can take advantage of a Spring, Autumn or Winter holiday and relax in the sun all day and enjoy open log fires in the evenings. 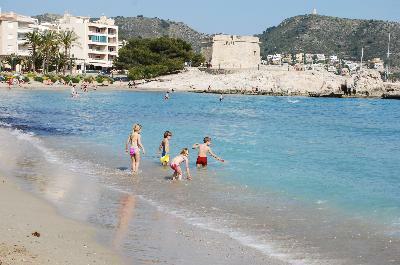 You can walk along the palm fringed seafront past the castle and numerous beaches, choose from rocks, pebbles or sand. The main sandy beach lAmpolla is situated at the foot of the castle and is patrolled by lifeguards, there are excellent facilities here including childrens play area, restaurants, bar and various watersports. El Portet beach also has fine sand and crystal clear water, and has been presented with the Blue Flag Award for cleanliness. 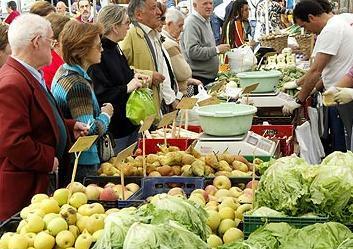 Moraira also has a very good market weekly with lots of bargains for avid shoppers as well as fresh fruit and vegetables. 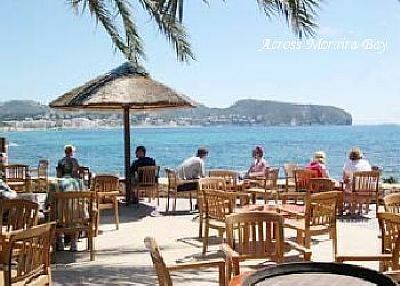 If it is a local hotel in Moraira that you are looking for CLICK HERE They can be booked online. The central market square has many places to sit down and eat or drink, the streets are a mix of quaint cobbled narrow alleys and modern avenues lined with palm trees and fountains and there are many quiet places to sit and watch the world go by or to watch the sea and stunning vista along the coastline to Calpe city. It is possble to find a local Villa to rent but they do get booked up quite quickly. Booking early realy is a must most of the time for both the winter and summer time. 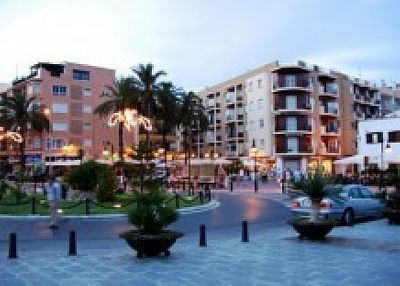 Moraira Over 60 private properties to rent. For the active Moraira offers an excellent array of sports to suit all, including jet ski hire, water skiing, deep sea fishing, diving tuition and equipment hire, tennis courts, a golf course, mini golf and mountain bike hire. For children there are specially designed park areas to play safely in and around the town. Moraira is geographically situated in a perfect location, around Moraira itself the landscape changes from the desert like flatness of Alicante to become greener and more undulating as you head North. It is an ideal location to easily visit other towns including Gudalest, Benidorm, Calpe, Javea, Valencia, Alicante and Denia. Local Villa to rent but they do get booked up quite quickly. Booking early realy is a must most of the time for both the winter and summer time. 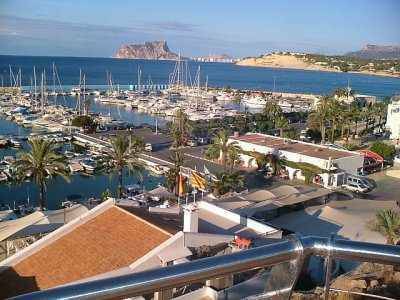 Moraira Over 60 private properties to rent.